Details. Aside from a popular name you would imagine its the attention to detail that sells a rod. For some reason a lot of the rod photos I have seen posted online show guide feet that look as if they had just come out of the package. No touching up of the feet at all. They have the squared edged look.I don’t consider this a matter of laziness, but assume many makers see this step a waste of time. 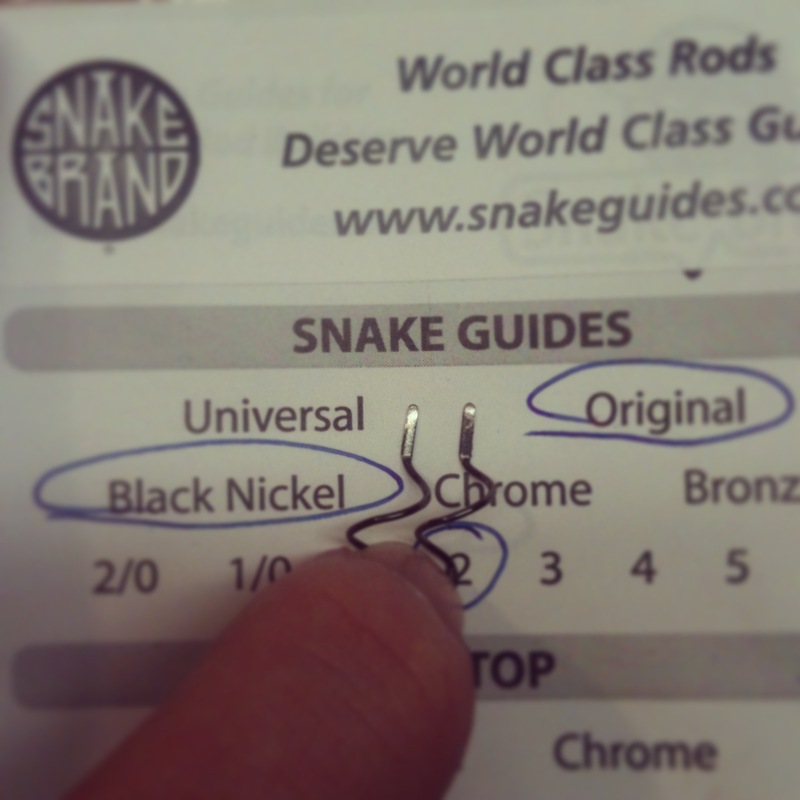 Snake Brand finishes these guides out so nicely that you don’t really need to touch up the guide feet. But for me personally, I like the look of a rounded off guide foot. Which you can see under your silk wraps if you’re not using a color preserver. The challenge is to get each foot rounded and shortened to the same dimension. On previous guides I did it by hand with a small file, with mediocre results. So I bought a small rotary tool from Harbor Freight. The rotary tool and 80 accessories for $19 bucks. Awesome price. At first I locked the tool into my vice, but found better results by holding the tool in one hand and the guide in the other. 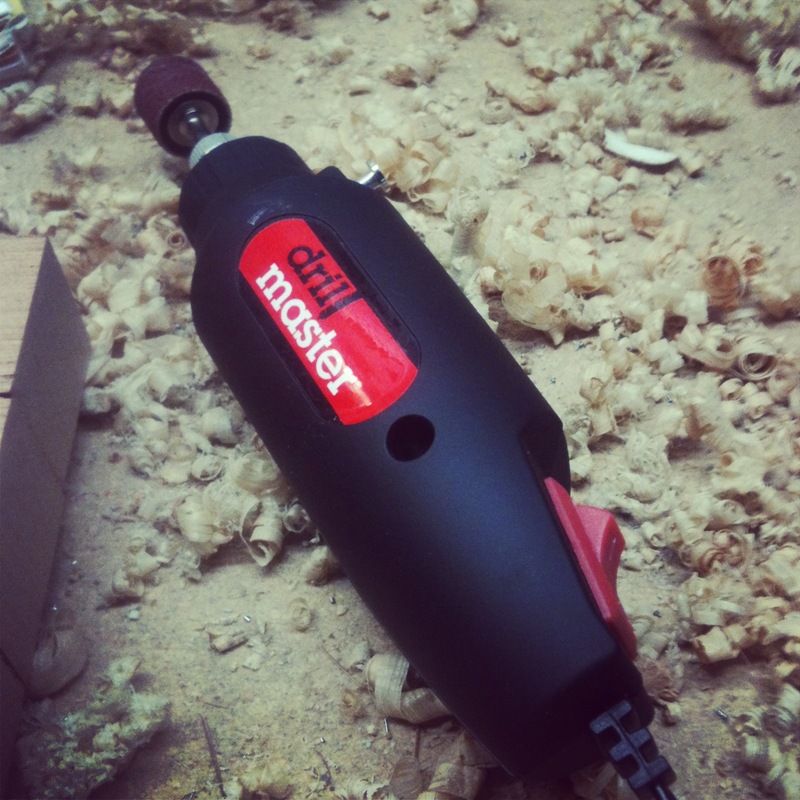 I simply try to count each time I roll the guide foot over the sanding wheel. For my first time, I thought I produced consistent dimensions on my guide feet. After the grinding, I simply touch up the black nickel guide feet with a permanent black marker. So far so good.